This strange prophecy, found in the midst of the small book of Nahum, could almost be seen as a description of 21st-century freeway traffic! In context, however, the entire book of Nahum deals with the coming destruction of Assyria and, especially, its great capital, Nineveh. One of the most viciously aggressive and cruel empires in all history, bitterly opposed to God and His rule as Creator in the affairs of men, the Assyrians had been allowed by God to punish the 10 northern tribes of Israel, carrying them into captivity. But their own time of judgment was coming! Under the preaching of Jonah, Nineveh had experienced a great revival, sparing the city its judgment for over a century. However, it soon became incurably apostate, worse than before, and its most vicious crimes were committed in this later period. Finally, God called Nahum the prophet to announce its coming doom. It was still another century before Nahum’s prophecies were fulfilled, but they were eventually accomplished at the hands of the Chaldeans and the Medes. 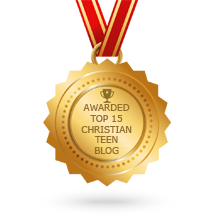 This entry was posted in A CLICK A BLESSING TODAY, CHRISTIAN NUGGETS and tagged Jostling Chariots and Judgment. Bookmark the permalink.